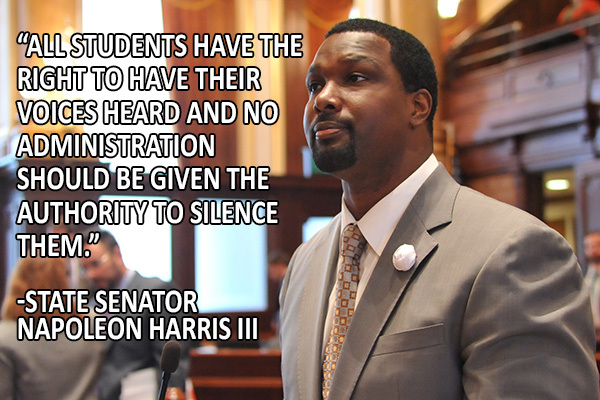 SPRINGFIELD – State Senator Napoleon Harris III (D-Harvey) introduced legislation that protects college students’ freedom of speech and would prohibit colleges from revoking athletic and academic scholarships as a result of protesting. Senate Bill 2279 came about after Republican lawmakers in Missouri filed legislation intended to punish African American football players who demanded the resignation of the head of the university after inaction against racism on campus. Harris noted that many students on athletic and academic scholarships come from low-income backgrounds and depend on their scholarships as their only means to a college education. 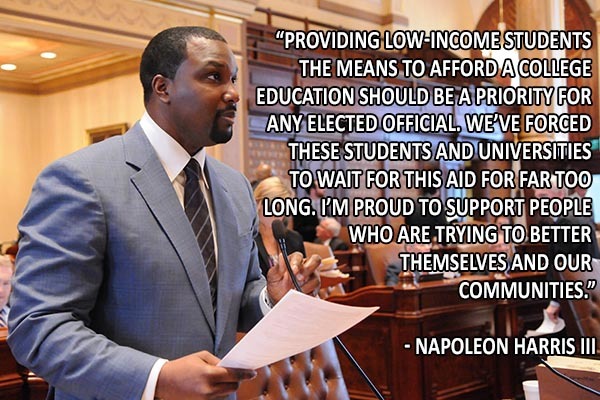 SPRINGFIELD – Today, State Senator Napoleon Harris (D-Harvey) supported legislation that would release Monetary Award Program funding to universities throughout the state.